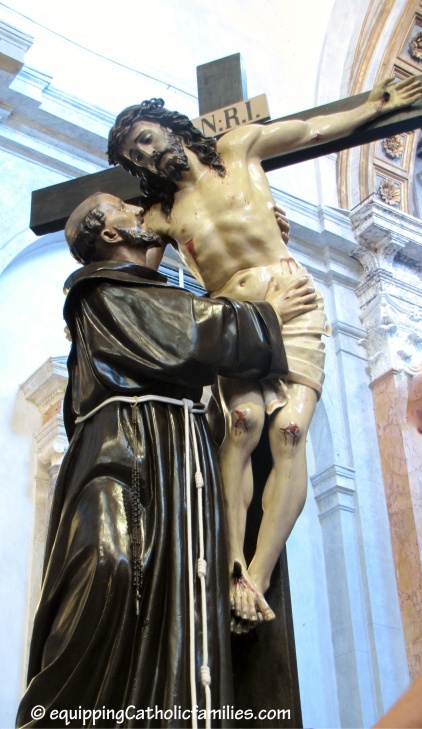 New Year’s Resolutions and Liturgical Season: Ordinary Time! Looking for ways to make your New Year’s Resolutions stick? 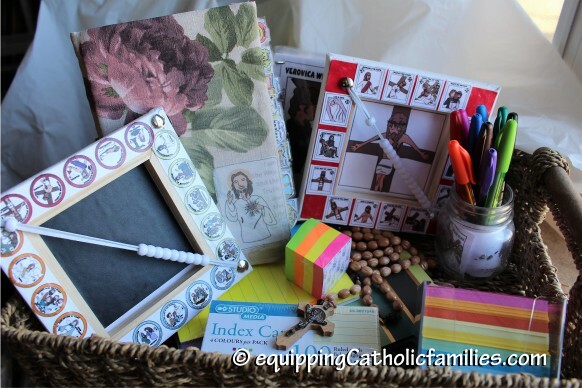 Here are some articles and craft kits that will help you stay on track in your prayer life, living Liturgically…or staying more organized! 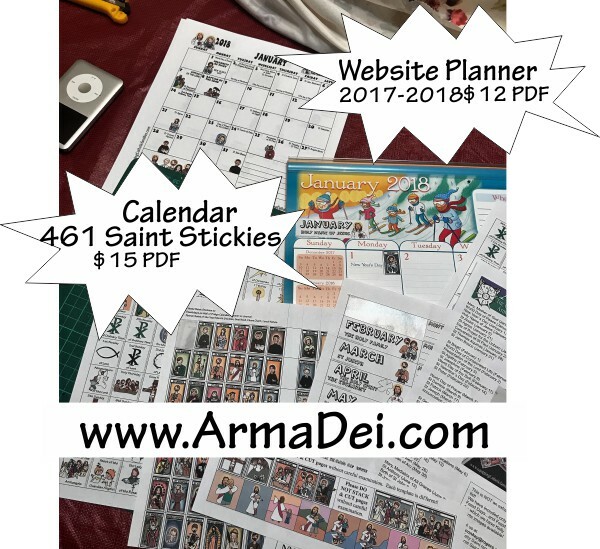 2018 Website/Shop/Blog Planner will illustrated Saints Days on monthly calendars along with Stats and Records templates to keep track of stats, expenses and goals. 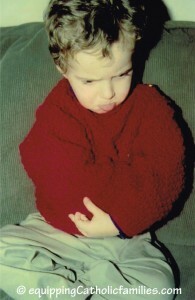 You’ll wonder how you got along without it! 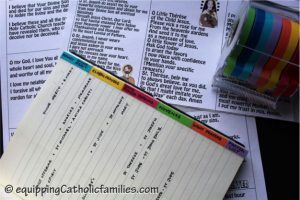 The Catholic Prayer Bullet Journal includes lists for projects and posts, a running log, a confession/spiritual direction log and lots of pages for tracking habits, gratitude, goals, prayer intentions, scripture to memorize, house projects, social media stats…and so much more! Use the Prayer Journal Prompts Craft Kit for already formatted prayers and prompts for your prayer journal! 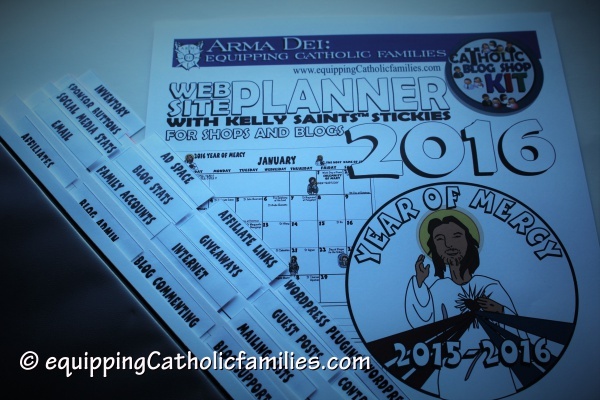 Speaking of prayer prompts and organizational tools…Check out the Saints, Daily Check-in, Mass and Journal Stamps at the Prayer Impressions Journal Stamp Shoppe at Arma Dei! 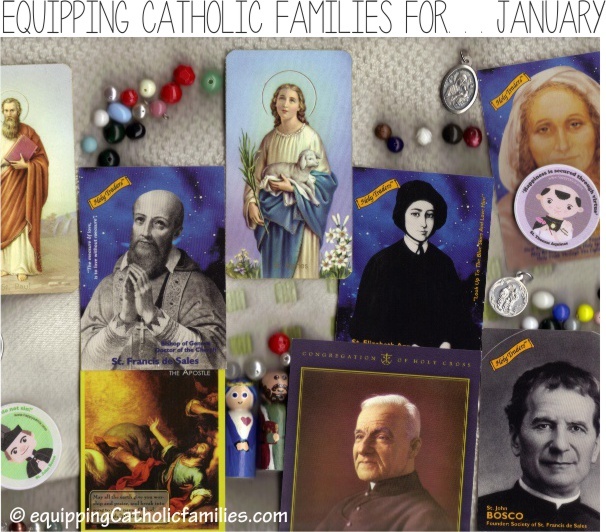 See Equipping Catholic Families…for January Saints where it first appeared! 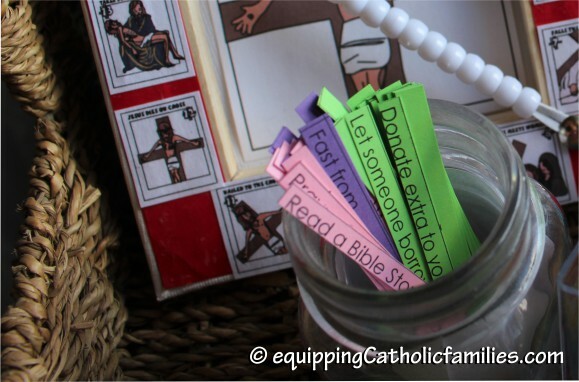 Super Cute Bible Tabs to get you flipping through the Bible from Catholic Icing. I turned a soft cover Catholic Bible into a Hardcover Bible and while I was at it, a Journaling Bible. Easy as Abacus Stations of the Cross Just released last week! 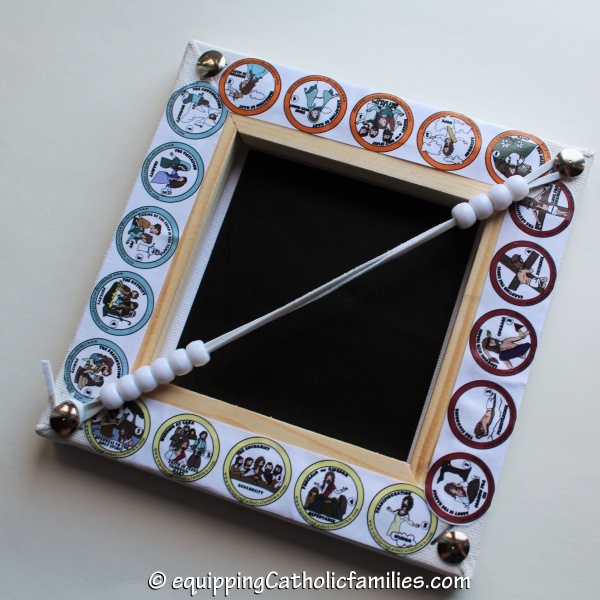 Kelly Saints Stations of the Cross on a wood frame Abacus, perfect for little fingers to keep track of the Stations! 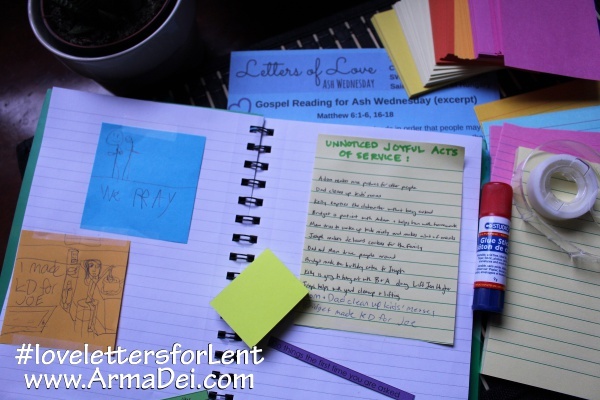 Letters of Love: A Lenten Meditation for Families I’ve signed up and I think I’m ready! I’m hoping that the colorful post it notes, index cards, notepaper, notebook and pens will entice my whole family (including our 4 kids living at home ~from 6 years to 18 years) to reflect, write and draw as soon as we receive the prompts! You can sign up too at Not So Formulaic. 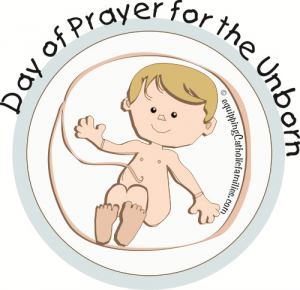 I’ll be posting our progress …and any special tips we come up with, after we begin on Ash Wednesday! 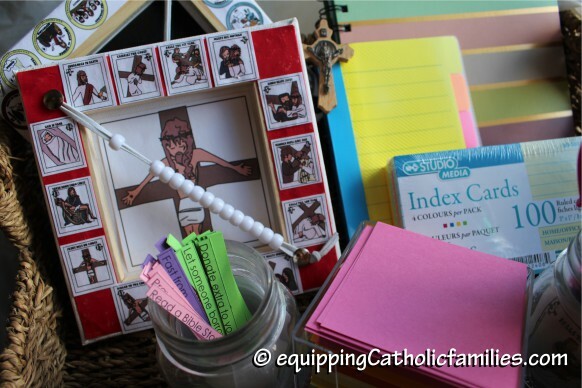 Easy as Abacus Rosary for hands-on Rosary praying with Kelly Saints illustrations and chalkboard prayer intentions! Pray, Fast, Give Printable from Look to Him and Be Radiant This is a great, FREE printable to help you Pray, Fast and Give! 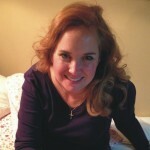 Pick new do-able challenges each day and avoid the discouragement of Lenten Sacrifice burnout. …and one more #CatholicCraft! Not a printable…but a FREE Tutorial! 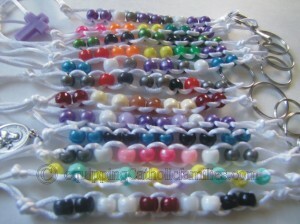 Simple Good Deed Bead Bracelets that even the littlest hands can help make…with beads that slide and stay in place to count special sacrifices and prayers throughout each day! 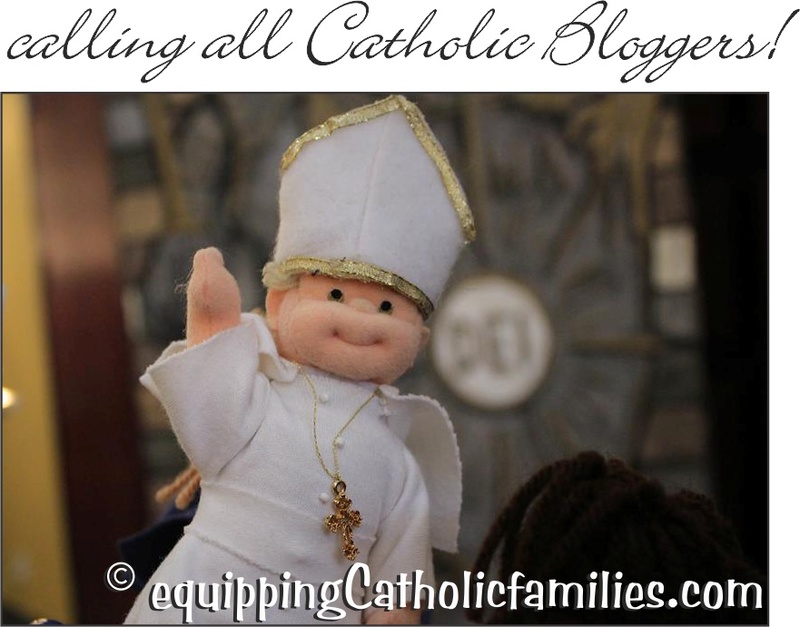 FREE Tutorial at Equipping Catholic Families. 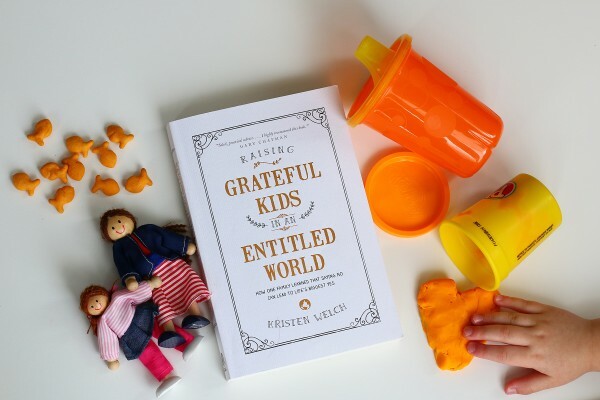 Raising Grateful Kids in an Entitled World: Book Review and Launch! I’m so excited about this book! I received my ebook before Christmas and what perfect timing! It’s an entertaining read…and also an uncomfortable one at times, but as I eagerly read on…a necessary one. It’s so easy to get caught up in what everyone else is doing, wanting the best for your kids and wanting them to have every advantage. But our kids aren’t the only ones prone to entitlement, from spending for so-called necessities…rewarding and consoling ourselves through purchases, and even food. Kristen tells her own family’s journey honestly and humbly. She recognizes that we’re all learning as we go. This book will open your eyes, reshape your attitude, lend practical ideas for shaping your kids and steering them away from common attitudes. It even includes reflection questions to mull over! Raising Grateful Kids in an Entitled World: How One Family Learned That Saying No Can Lead to Life’s Biggest Yes * will help you rethink where your family chooses to invest time, money and values. 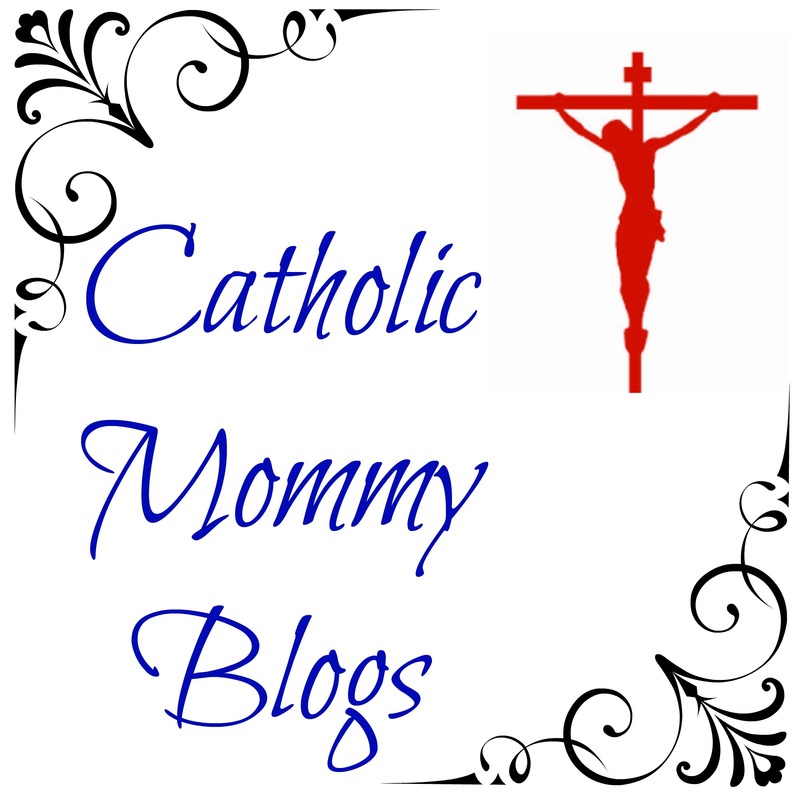 Read Monica’s full review at Equipping Catholic Families. 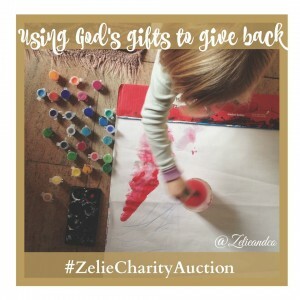 A new community of Catholic artisans has come together to offer beautiful, unique Catholic products through carefully orchestrated Flash Sales…on Instagram! We are a group of independent Catholic Artisans who have teamed up to offer some exclusive sets at great discounts through our flash sales! We have chosen St. Zelie as our namesake because we think she gets us! 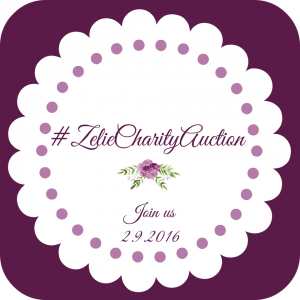 Come and see what we’ve got! 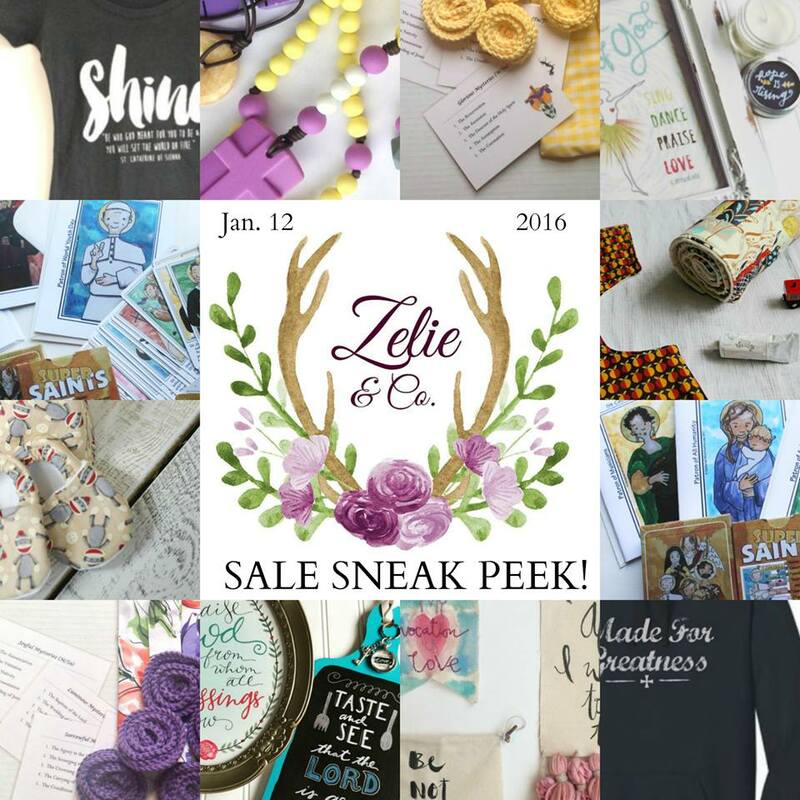 Join us at Zelie & Co. on January 12th on Instagram! 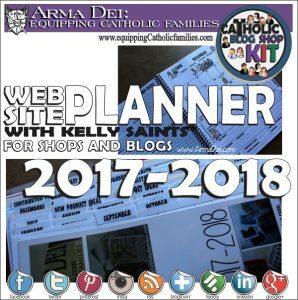 Catholic Planner: Last Minute DEAL! 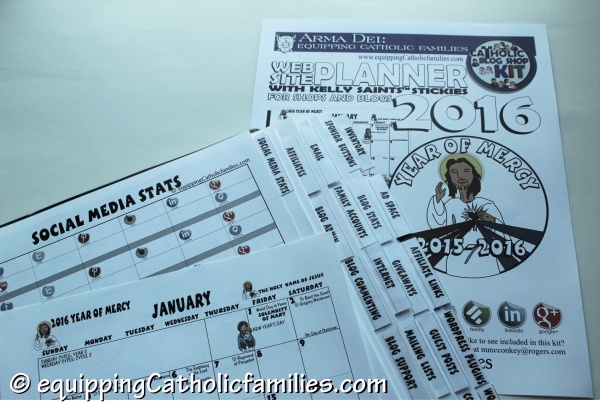 Just finished the NEW and IMPROVED Catholic Shop and Blog Planner! This year, it’s embellished with Kelly Saints TM on the calendar and Divider Tabs to organize your Passwords, Blog and Social Media Stats, Guest Posts, Contributor Posts, Ad Space, Sponsor Buttons…and more!! Even if you’ve already purchased your 2016 Planner…you might find this calendar helpful as a wall calendar…or some of the worksheets… perfect supplements for Blog or Shop Planning! This year…I added some extra stats to accommodate Etsy Shop owners…and I added a couple new graphics for YouTubers and Periscopers! 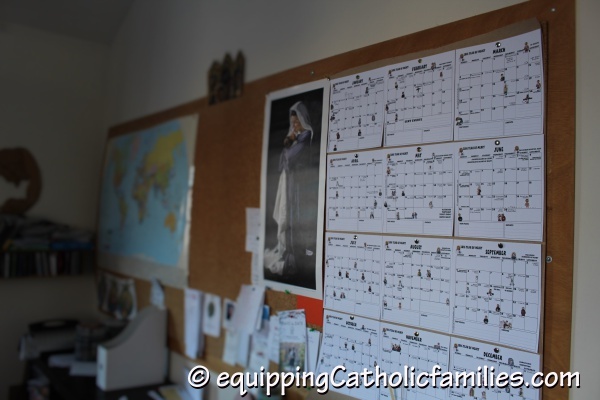 …and for those who prefer the Catholic Family Calendar right up there on the wall for all to see…check out our 8’bulletin board in our home office! We’ve used it for Saints Timelines too! 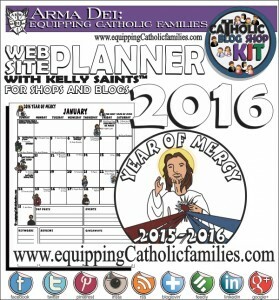 The Website Planner for Shops and Blogs is available over at Equipping Catholic Families. I’ve been reading her book before the official launch, and let me tell you, it’s really good! 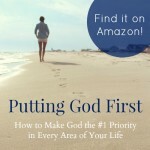 Whether you’re super busy, easily distracted or you simply haven’t made God the priority you know you should, “Putting God First: How to Make God the #1 Priority in Every Area of Your Life” is full of the encouragement and real-­life, practical tips you need to change that once and for all. 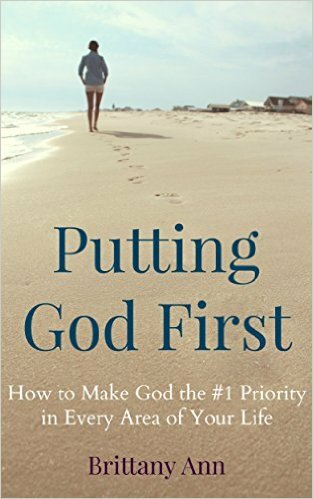 PLUS for a limited time only, “Putting God First” is FREE on Amazon! If you haven’t been making God the priority you should lately and you’d like to change that, you’ll definitely want to go grab this book!